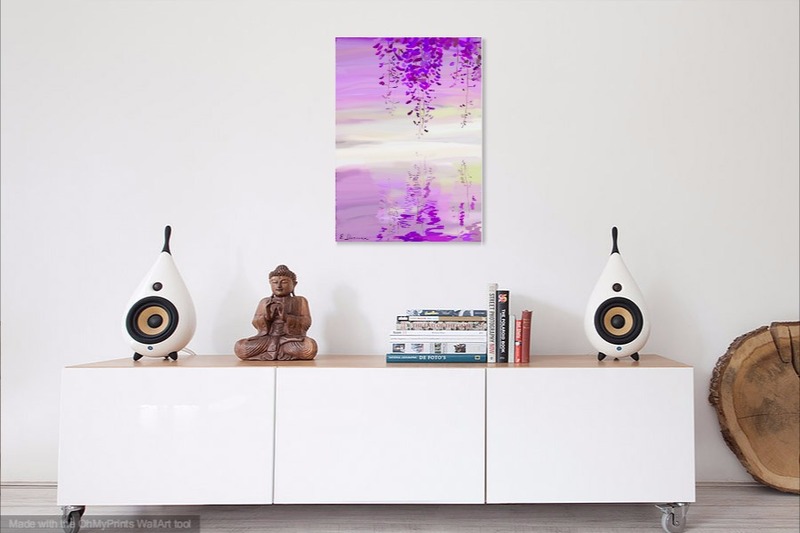 Don’t know about you, but I love looking at wisteria blossoms. The tunnels in Japanese gardens are simply stunning in Spring and they create an atmosphere of a fairy tale when you walk through them. 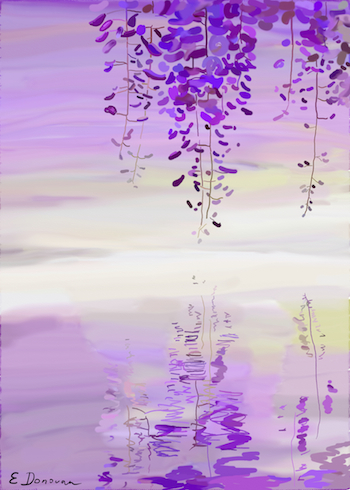 Wisteria blossoms also look enchanting when they are hanging over calm water, especially when there’s a reflection. This contemporary impressionist floral painting is the impression of how I feel when I watch wisteria blossoms looking like drops hanging over water.